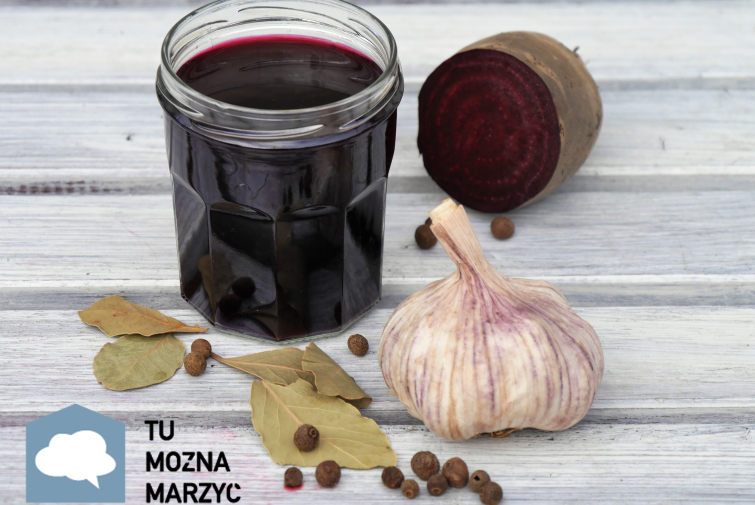 Tu można marzyć presents recipe for tradistional polish Christams dish - beetroot leaven. Peel the beetroots and cut them into thin slices. Wash the horseradish and oak leaves, as well as the horseradish root. Ferment all ingredients in brine at room temperature, remove the bread crust after 2 days. After 4 days, check on the leaven and continue fermenting it, or put it in the fridge to slow down the fermentation process.